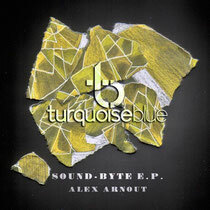 Following releases featuring Tom Ellis, Basic Soul Unit, Kris Wadsworth and Ruthit, Newcastleʼs (UK) Turquoise Blue delivers the ʻSound-byteʼ EP from Dogmatik, Crosstown Rebels and Hot Creations stalwart, Alex Arnout. 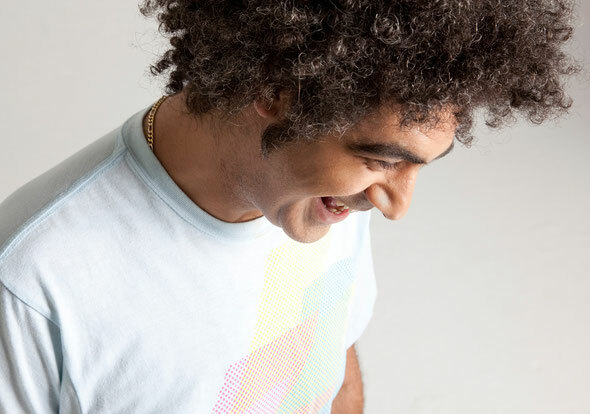 From running underground parties in his native Sheffield to his Dogmatik label (a label which has unearthed many a talent, including Maya Jane Coles), Arnout is a veteran of house music and has pretty much done it all. His productions continually win strong support across those who matter and his engineering/collaborations with the likes of Clive Henry always deliver. The ʻSound-Byteʼ EP from the London-Based producer sees him deliver sine-heavy, rounded and warm deep house in two original tracks, ʻGiveUʼand ʻMovements In Soulʼ. ʻGiveUʼ opens the EP with creeping melodies, bubbling bottom end and endless melodic interplay. Delayed vocal snippets are teased throughout but when the whole, dreamy refrain opens up the track goes into overdrive, albeit a subtle and well-judged one. French production maestro Jef K turns in the first remix of ʻGiveUʼ and the result is an unpredictable slice of analogue heaven. The drums skip and the filters and synths open and trigger of what seems to be their own accord – making for a refreshing version. Gwen Maze, an on-going Jef K collaborator and strong artist in his own right, turns in the final interpretation of ʻGiveUʼ in his ʻSweet Dubʼwhere ‘90s drums, funky bass drops and the originalʼs vocals are skillfully counterpointed with moody chords. The R&B licked vocal house of ʻMovements In Soulʼ is the last original of the EP and it shows why Arnout has been snapped up for Hot Creations in the past while the hotly tipped Laura Jones serves up an eerie, peak-time version appropriately drenched in electronic soul. It’s out on Turquoise Blue 7th March 2012. Check it out below.